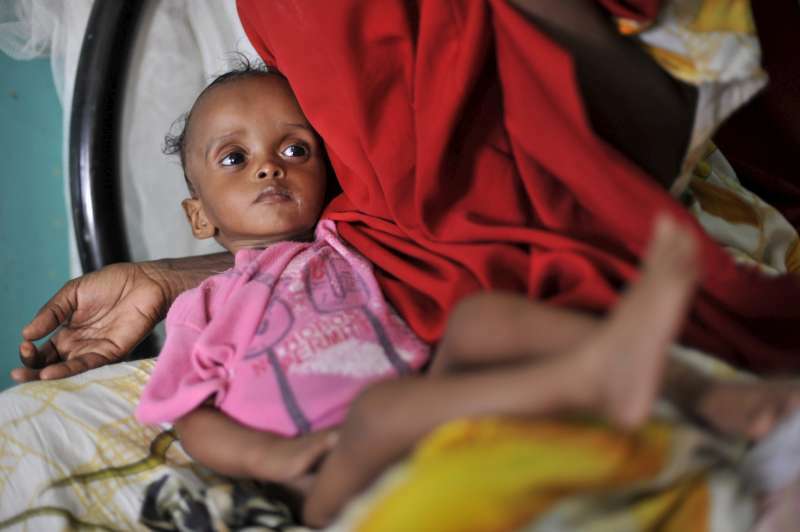 GENEVA, July 5 (UNHCR) – The UN refugee agency is concerned about the high incidence of malnutrition among Somali refugees flowing into Ethiopia and Kenya amid a devastating drought in their conflict-racked country. The relentless violence, compounded by drought, has forced more than 135,000 Somalis to flee so far this year. In June alone, 54,000 people fled across the two borders, three times the number of people who fled in May. “UNHCR is particularly disturbed by unprecedented levels of malnutrition among the new arrivals – especially among refugee children,” UNHCR’s chief spokesperson, Melissa Fleming, said in Geneva on Tuesday. “More than 50 per cent of Somali children arriving in Ethiopia are seriously malnourished, while among those arriving to Kenya that rate is somewhat lower, but equally worrying – between 30 to 40 per cent,” she added.